First we gather insights on the critical few leadership behaviors that matter most for the performance of your organization. Armed with insights from this data, we co-create a development strategy and customize our research-backed tools for use by your managers and teams. Using the most powerful L&D methods for sustained behavior change, we develop your leaders in the context of real work. Personalized 1:1 Coaching: Your managers uncover their blind spots and growth edges so that they skillfully develop people and teams. Manager Circles: Your managers form a powerful peer group learning community to model and practice new behaviors. Team Coaching Sessions: Your managers apply their new skills in real time on real work with their teams. 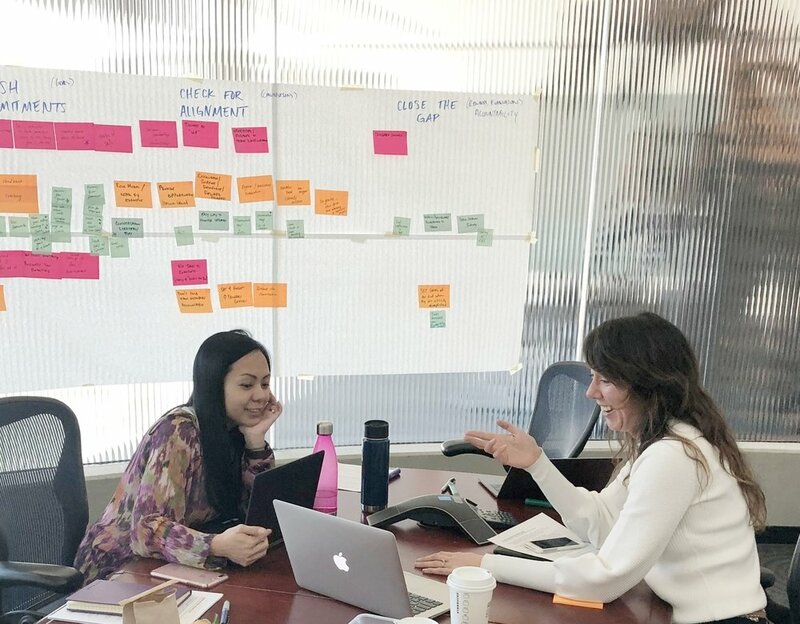 From these experiences, managers and teams develop the capacity to continually assess their assess growth edges, as well as co-design actions and evaluate progress. Ok, we couldn't resist. But in all seriousness, we measure the performance, engagement, and growth of your people - which, ultimately, results in profit. 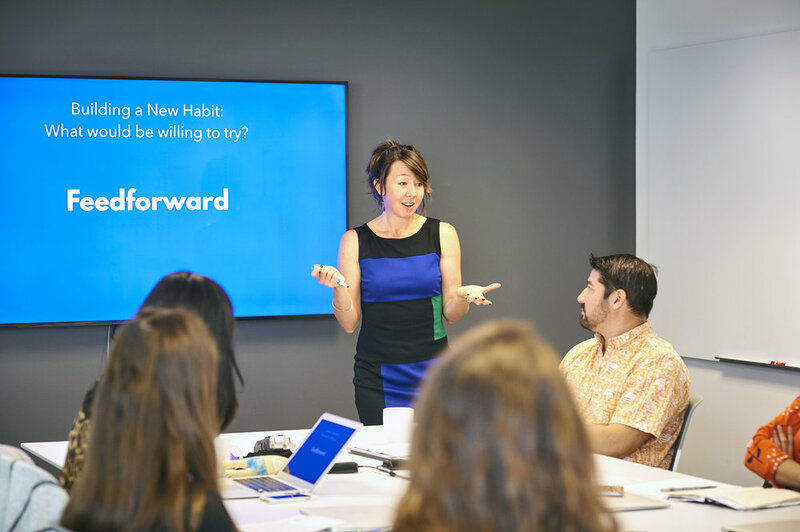 After this stage, your managers and teams are fully equipped to coach each other for continuous growth and teach these powerful skills to others within your org. Performance Development Consulting: Using design thinking and behavioral science, we help you create a system for planning, tracking, and evaluating performance in ways that lead to continuous improvements. We also consult on performance technology tools that align with your organization's needs. Meeting Facilitation: We facilitate leadership and team offsites, as well as strategic planning sessions. We also serve as a moderator to solve team issues as they arise (e.g. sudden departures, interpersonal conflict, etc.). Manager Academy: We produce customized video training modules (featuring your managers!) and co-branded learning tools for use within your organization's LMS. Leadership Storytelling: We can also document your team’s leadership journey through compelling images and video for purposes such as recruitment and PR.